Travelling to France with the Ferry or Channel Tunnel. One of the most popular ways to travel to the West Coast of France from the UK and Ireland is by taking one of the cross channel ferries or the Channel Tunnel. It offers a great way to get to Vendee or Ile d’Oleron allowing for you to fill the car with luggage and the shortest (Dover to Calais) ferry crossing from the UK only takes 1hr 30mins. The Eurotunnel is the quickest way to get to France taking only 35 minutes to travel the length of the channel from Folkestone to Calais. The first regular passenger ferry to cross the channel in 1821 was the paddle steamer ‘Rob Roy’. The paddle steamer was purchased by the French government to transport the post across the channel and offered places on the open deck to paying passengers. Sadly the ferry hit the port when docking in Calais in the first year so had to be taken out of operation for a year but after this the ferry service continued until 1830 and was considered a successful operation which led to the formation of the regular cross channel ferries. In 1822 the operation of the paddle steamer was taken over by an company based in Dover. Such was the sucess they purchased a second steamer and operated a regular service to tie in with the high tides (the ports hadn’t been developed so it was only possible to dock in high tides), with a journey time of around three hours. In 1928 the first car ferry was introduced on the Dover – Calais route. It was a small steamer and could only take 15 cars at a time. The cars were craned on and off the boat and the ferry proved to be a big hit with the wealthy wanting to take their cards to the continent. The first big car ferry operation on the channel commenced in 1930 when Captain Townsend brought and converted an old minesweeper. It had 3 lounges, 3 private cabins and could carry 168 passengers and 30 cars. The cars still had to be loaded by crane and in the first year he transported 6000 cars rising to 39000 in 1939 before the second world war put a stop to the cross channel car ferries. 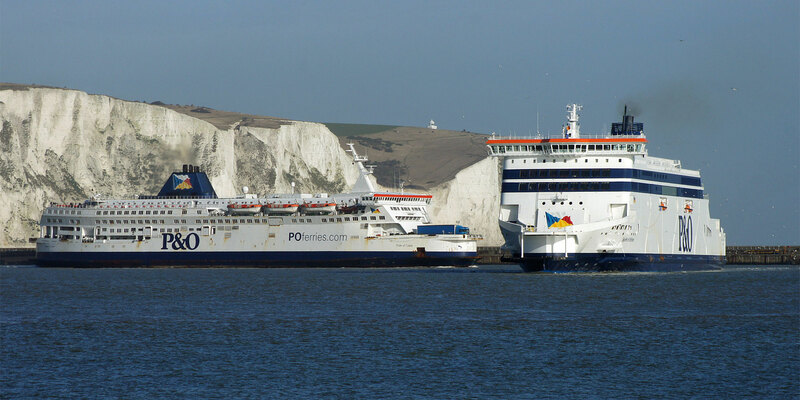 It wasn’t until 1952 that the drive on and drive off ferry ports appeared in Dover and Calais and the 1960s saw a big development in the ferries that were crossing the channel transporting cars and lorries. It was in the 1970s that Brittany Ferries was born and in its first year of operation it ran a ship from the newly improved Roscoff port carrying cauliflowers and artichokes from Brittany farmers to the UK. In 1973 they introduced a passenger ferry in the summer and in 1974 started to run a car ferry. Such was the success of this service in 1977 a larger ferry was ordered and by the end of the 1970s Brittany Ferries were operating out of Saint-Malo, Santander, Cork, Plymouth and Roscoff. The cost of the shorter or longer crossings varies greatly depending on the time of the year you choose to travel. All the ferry operators now change their prices constantly depending on how well a particular sailing is selling and how close it is to the departure day. 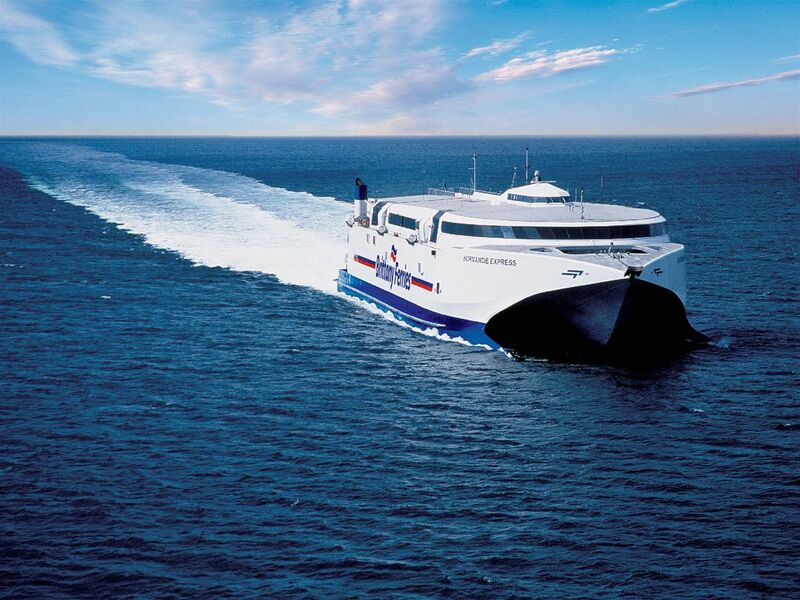 The earlier you book the crossings the cheaper it is generally is, and it is advisable to book the longer Brittany Ferries crossings throughout July and August as early as possible as these sailings often sell out weeks in advance along with the cabins. Generally the basic price includes a crossing for a car and passengers you will be charged extra for high cars and 4×4’s, as well as for bike racks, roof racks and trailers. Another option you have consider on the longer crossings is accommodation (it is mandatory to reserve accommodation on overnight crossings), the most basic available is the reclining chair at £5 per person, 2 person cabins (bunk beds) around £69 or 4 person cabins (bunk beds) around £89. You will pay extra for a window and the cabins are cheaper than the prices above for daytime crossings. 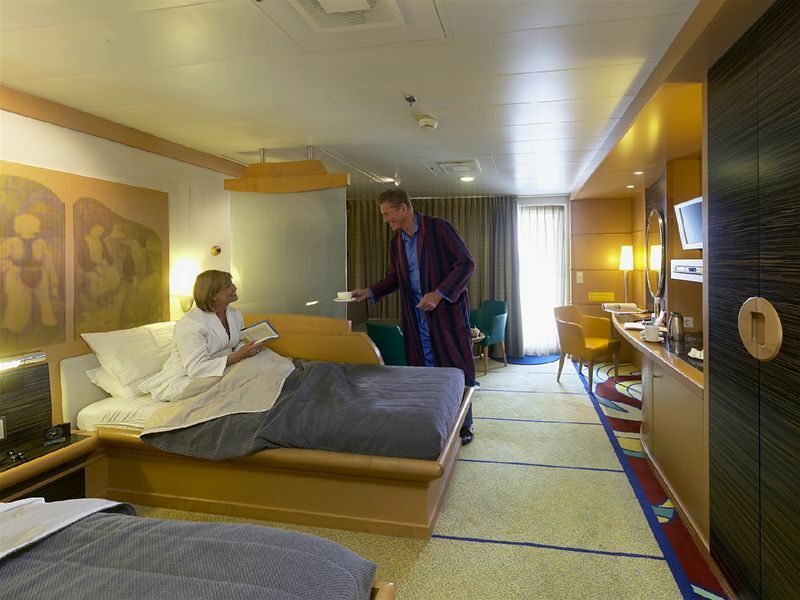 Some of the ships also have premier/commodore cabins which have better beds and more facilities including a tv. The canteens/restaurants on the ferries are generally of a good standard. With P and O Ferries and Brittany Ferries offering a choice between self service restaurants and smarter restaurants with waiter service. The Brittany Ferries restaurant offers a fantastic menu with starters and deserts from the buffet and a main meal served at your table. DFDS crossings have a self-service restaurant available. All the ships to France have a bar and most of them have a café. The longer crossings have entertainment in the bar throughout the day and in the evenings normally a disco, band or show which is always entertaining! Eurotunnel Le Shuttle – 47 crossings daily. From £79 each way. 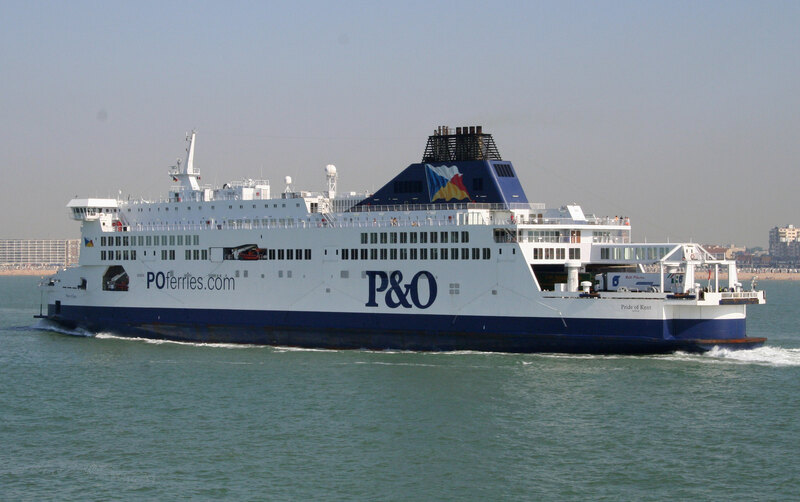 P and O Ferries – 23 sailings daily. From £39 each way. DFDS – 15 sailings daily. From £39 each way. DFDS – 12 sailings daily. From £39 each way. 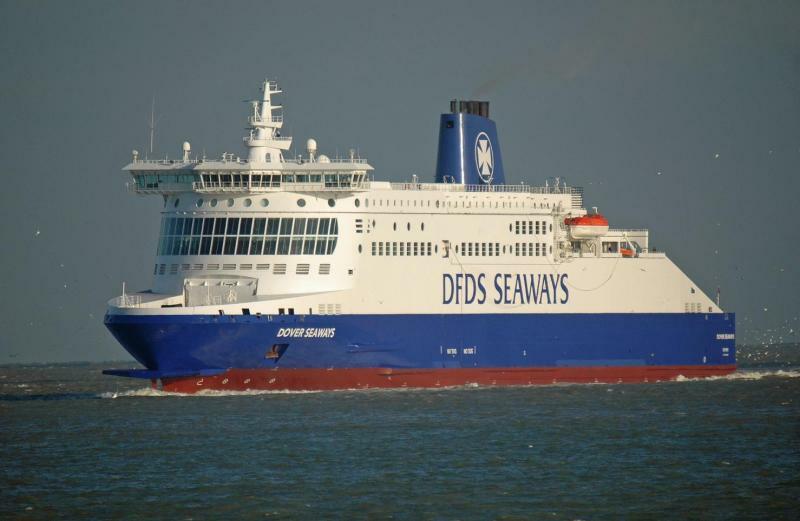 DFDS – 2 sailings daily. From £78 each way. Brittany Ferries – 10 sailings weekly. From £115 each way. Brittany Ferries – 2 sailings weekly. From £79 each way. Brittany Ferries – 14 sailings weekly. From £130 each way. 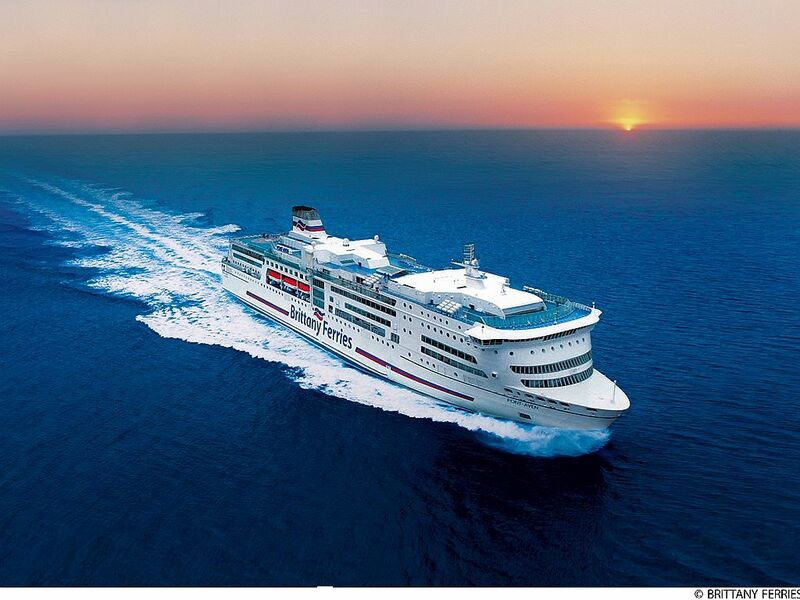 Brittany Ferries – 3 sailings daily. From £79 each way. Brittany Ferries – 10 weekly sailings. From £119 each way. Condor Ferries – 1 weekly sailing. From £79 each way. Brittany Ferries – 7 weekly sailings. From £79 each way. Brittany Ferries – 1 weekly sailing. From €129 each way. Stena Line – 5 weekly sailings. From €117 each way. Irish Ferries – 2 weekly sailings. From €100 each way. We are often asked on what we would recommend for the best ferry crossings, but a lot depends on where you live in the UK or Ireland, the budget for the crossing and how much you want to drive in France. The cheapest option is an overnight Dover-Calais crossings. This leaves you with a long drive on the French side to get to the Vendee or Ile d’Oleron but the ferry port leads directly into the French motorway system. You also have to factor in the cost of fuel and tolls on the motorways. The option that involves the least amount of driving on the French side would be a crossing that arrives in Caen or St Malo. This leaves around a four hour drive to the Vendee and a five hour drive to the Ile d’Oleron. If you take the overnight ferry this means you would be arriving on the campsites in the early afternoon. The fastest crossing of the Channel is with Eurotunnel, but like the Dover-Calais ferry leaves you with a long drive on the French side. The most popular crossing from Ireland is the overnight Cork to Roscoff crossing leaving around a five/six hour drive in France to the campsites.